On the right, the Tigra Automatic Observatory. On the Left, the original Thanet Observatory. 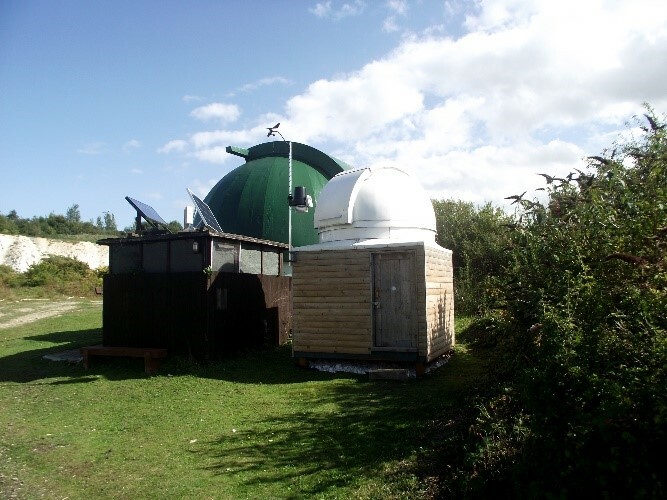 In the beginning … some of the components of the observatory structure, mainly the dome, resided at Tim’s home in South Wales, followed by a period in storage after his move to Canterbury. 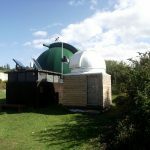 Tim decided to put these resources to good use and in the autumn of 2014 set about building our second observatory at the Reserve, assisted by Stargazers’ staff and volunteers. Please note that at this point in his talk Tim then expanded on the details of the instrumentation within the observatory, covering lots of ‘tekkie stuff’. I’m sure he will be pleased to inform you about this sometime, but I’ve excluded it for brevity and clarity in this write-up – not because I didn’t understand it all . Anyway, if you haven’t gathered by now, the main purpose of the Tigra Automatic Observatory (TAO) is to facilitate astronomical observations, both automatically and remotely. This means that the whole operation can be controlled from a remote computer, via the internet web-links; and this can either be done live (as demonstrated by Tim on the night) or programmed to take certain observations in advance. Wow! One of the most interesting aspects of the talk for me was learning how difficult astronomical photography can be. To get a good ‘shot’ of a star, or even worse, a ‘deep space object’ such as another galaxy, requires long exposure times, possibly up to five minutes. 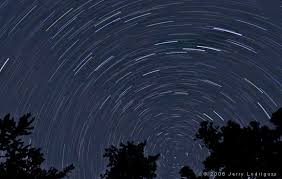 During this time the Earth continues to rotate, so in photos of the night sky stars will appear as curved streaks (all rotating around Polaris, the Pole Star) if a long-exposure picture is taken with a normal digital camera or even through a cheap telescope. But better ‘scopes can overcome this by tracking the object star, or (as the case with the TAO) tracking another star using “off-axis guiding”. This ensures that the viewed object stays absolutely in the same position in the photographic frame, enabling extremely fine focussing and pin-sharp images. Complicated huh? Another interesting aspect of the TAO is “Skynet” (nothing to do with The Terminator!). This is a weather monitoring system operating at the observatory that decides when it is safe to open the shutters, coupled with a period when there are clear skies to allow observing. Clever huh? There is so much more about the Tigra Automatic Observatory than I have space to expand upon here. So, if you do want to know more, why not come along to a Stargazers’ event and speak to Tim directly, I’m sure he will be delighted to share his knowledge and the workings of the TAO with you. Meanwhile, I’m looking to the further developments of this modern installation, and hopefully the time when I’ll be able to view what the TAO is looking at via a web-link (password protected of course) from the comfort of my own home. Watch this space (pun intended)!